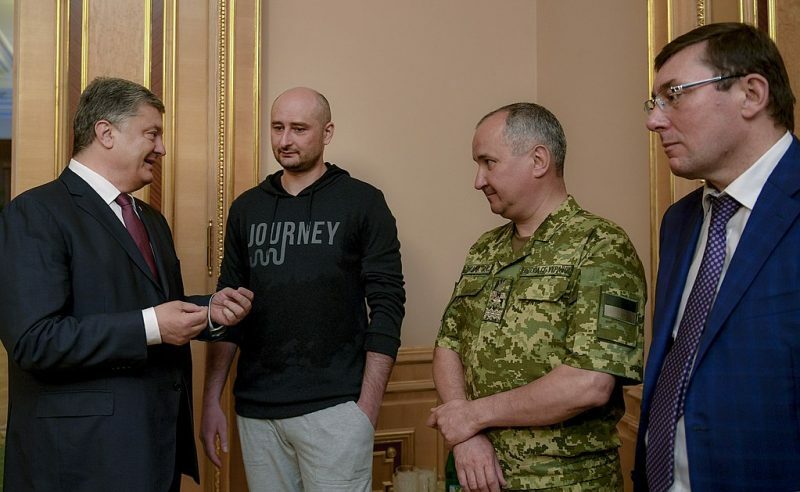 Babchenko’s inclusion TIME’s list was also controversial because of who was not included. Many have pointed to the three Russian journalists who were murdered in July 2018 while on assignment in the Central African Republic. Thanks again to the Ukrainian feds for a job well done. This is your award too, guys. To be Person of the Year, beating out Donald Trump, who’s in second place – done. I’m gonna go for a beer, as it were. Some also took issue with his inclusion because they allege Babchenko has not done any reporting for quite a while. While he is well-known for his reporting on the Chechen War and writing for Novaya Gazeta, the Russian newspaper holding the dubious record of having the most reporters assassinated while on the job, he has not written much for a few years. The only exceptions are his expletive-filled Facebook posts culminating in donation appeals, something that’s been mocked even among many of his former colleagues and friends.